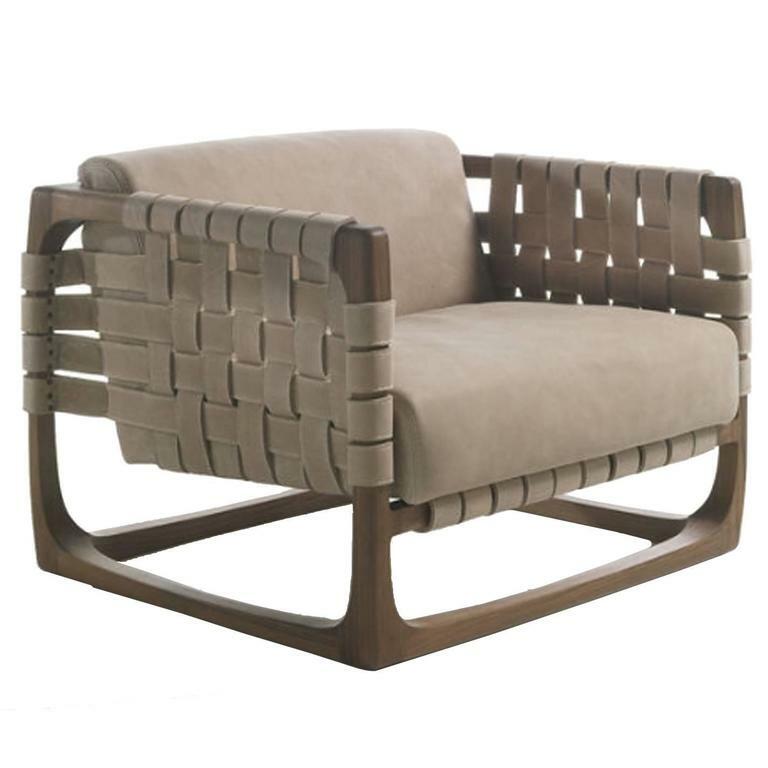 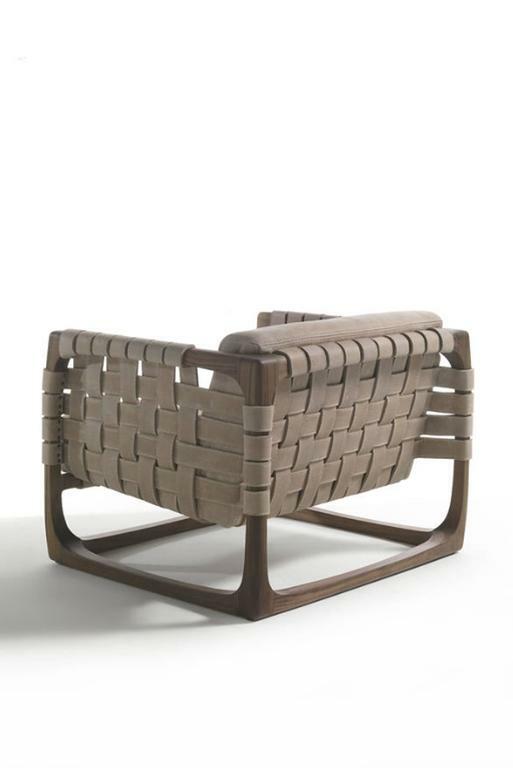 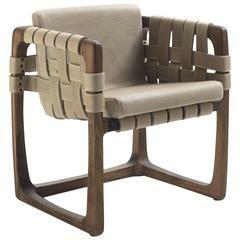 Armchair webbing padded seat in nubuck leather and frame in natural solid oak or walnut wood. 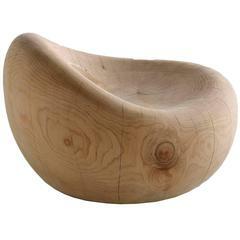 solid oak or walnut wood. 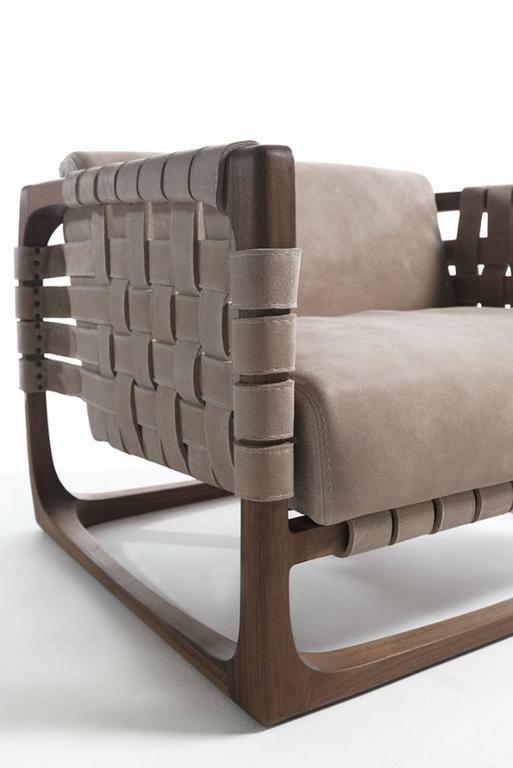 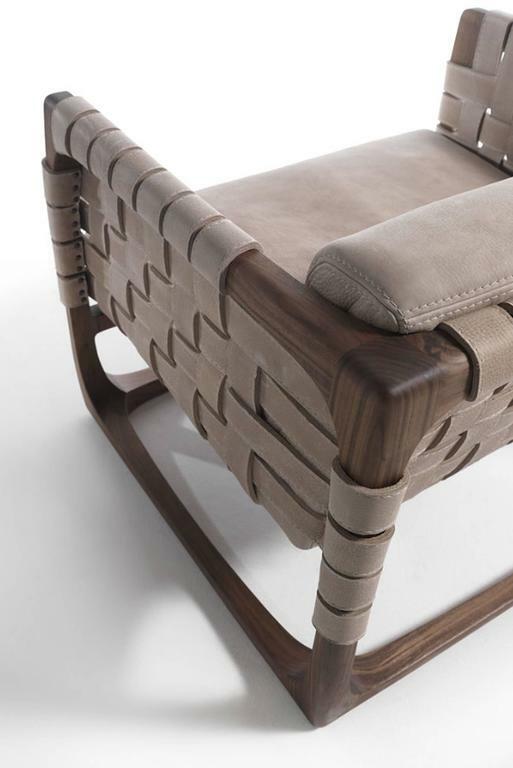 Ronson contemporary upholstered armchair made of cherry wood. 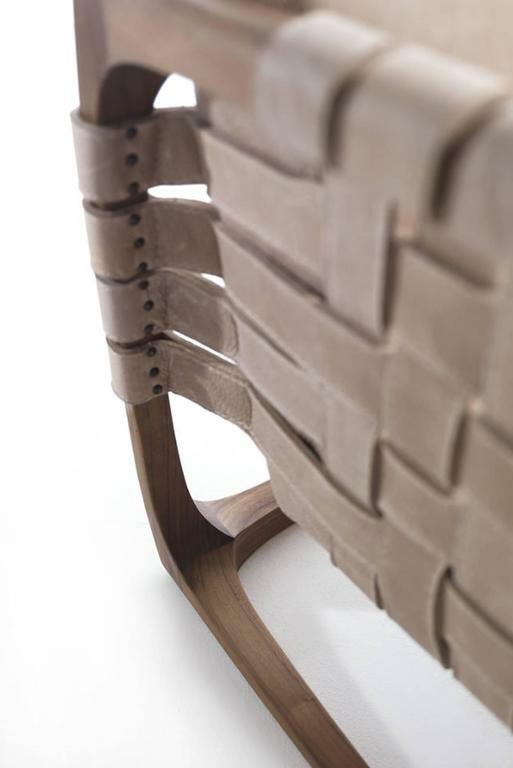 The curved backrest is supported by three legs. 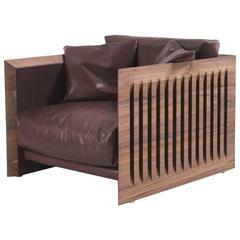 Padded cushion upholstered with leather or fabric. 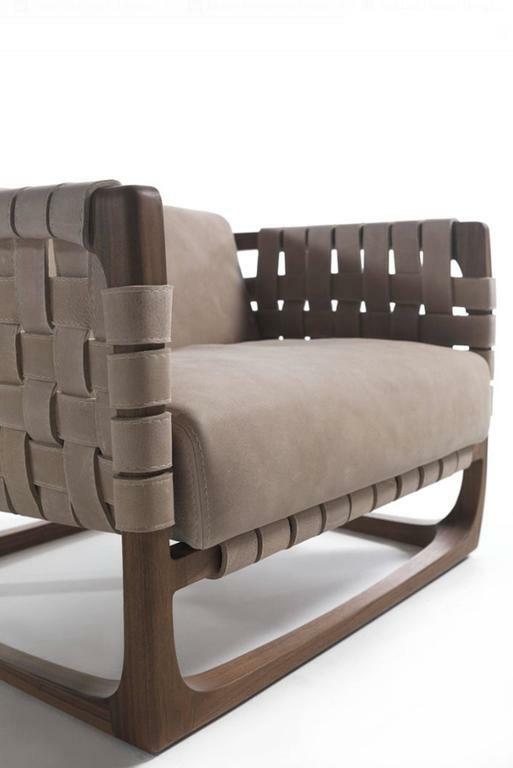 Cooper contemporary upholstered armchair made of cherrywood. 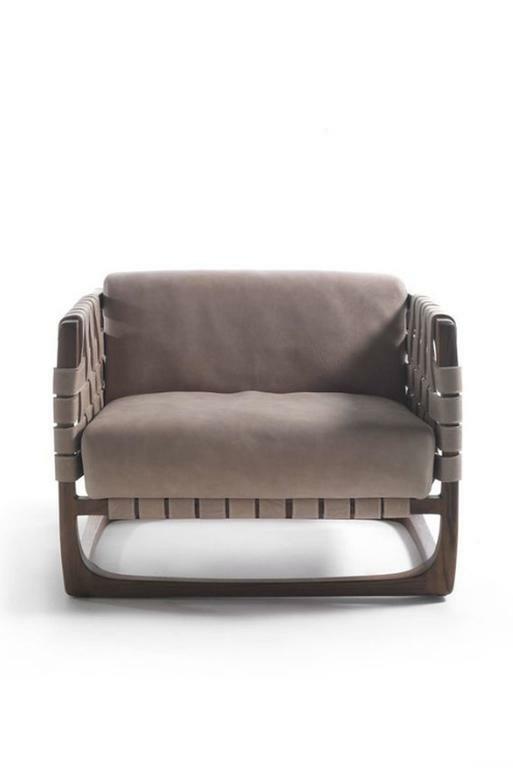 The curved backrest is supported by three legs. 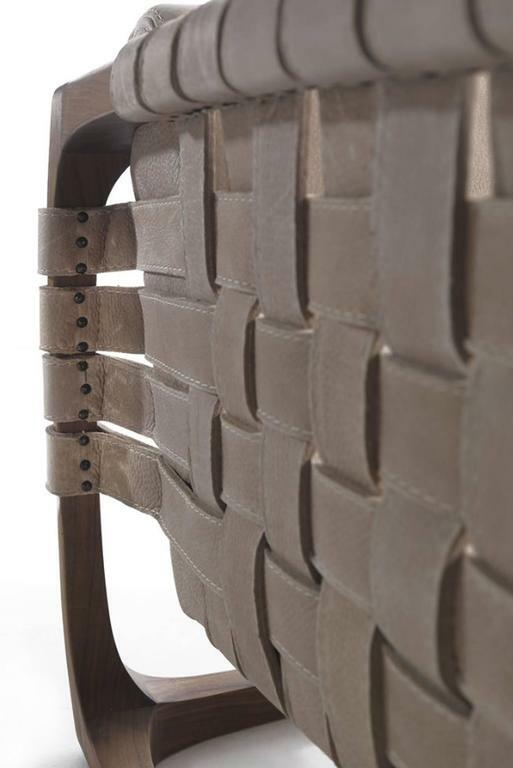 Padded cushion upholstered with leather or fabric. 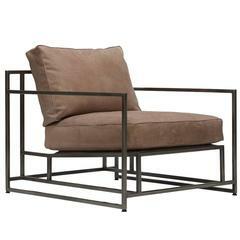 Great quality Polished iron armchairs circa 1920 with seat and arms redone in solid oak.